A beautiful exterior color says a lot about your home’s curb appeal. If you get it right, your abode would quickly stand out in your neighborhood. 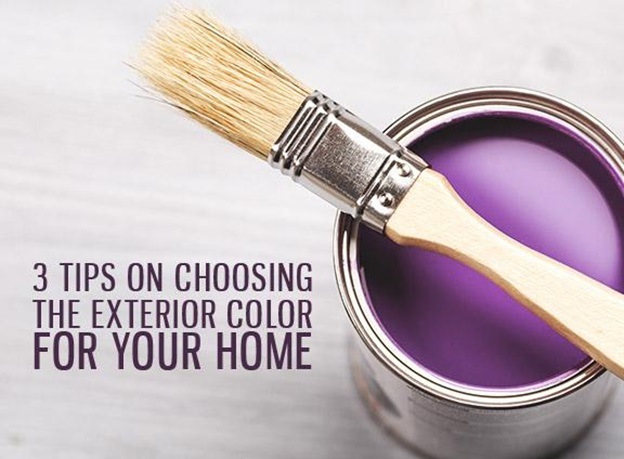 Nonetheless, choosing the right color for your exteriors is always easier said than done. Unless your siding is either brick or stone, you should pick three colors for your exteriors if your siding will feature the main color. You must have a complimentary shade for the trim, and accent tones for your doors, window treatments, and decorative trim. You can use GAF’s Virtual Home Remodeler to visualize your exterior design easily. This handy tool takes most of the work from your imagination and lets you come up with different creations. As one of the top roofing and siding contractors in Manassas, VA, we use this program ourselves to make exterior designing a breeze. Mother Nature is a major source of inspiration. The beauty of your exterior depends on how well it blends with the surroundings, along with the changes of season. Imagine your proposed hue in vibrant summer and in gloomy winter. In addition, keep in mind that colors will seem brighter in daylight compared to how they look in color cards or computer screens. You may be deciding on the color of your home exterior, but that doesn’t mean you won’t consider your neighbors’ houses into the mix. If you want to fit in, then mimic the dominant exterior home colors of in the area. If you want to go the other way, though, don’t pick the complete opposite. For instance, if most homes in your neighborhood are white, go for a midtone rather than a dark color. You should also pick bolder shades for minor architectural details, such as the trim, shutters, and gutters in Manassas, VA. This way, your home would look distinctive at a glance without ruining the harmony—which is paramount when houses are close together. Discover more clever ideas to pick the perfect color palette for your home exterior. Call Peak Roofing Contractors now at (703) 745-5153 for learn more tips.